Parental-Alienation-Syndrome: ABA Publication "Creative Parenting Plans" by John Hartson, Ph.d. and Brenda Payne, Ph.d.
For an initial consultation about a child custody or visitation matter, contact Mavrides Law . 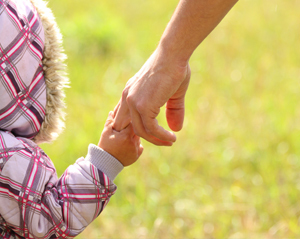 The attorneys at Mavrides Law encourage parents to always put the needs of children first. Divorce can be a particularly difficult time in the life of a child. Whenever possible, Mavrides Law utilizes negotiation and mediation as an amicable means of resolving visitation disputes. Even parents with the best intentions can have honest disputes about what is best for their children. Disputes over a home relocation, scheduling conflicts and other obstacles can result in disputes that are not easily resolved by agreement. When cases may not be resolved by agreement, and a contested hearing or trial is necessary, Mavrides Law has the experience necessary to protect your rights. Attorney Marcia Mavrides has more than 30 years of experience in family law. She is an experienced trial lawyer who prepares meticulously for the possibility of trial in each case. To speak with a divorce and family law attorney, contact Mavrides Law in Quincy or Boston, Massachusetts. To schedule an initial consultation, call 617-723-9900 or contact the firm by email.